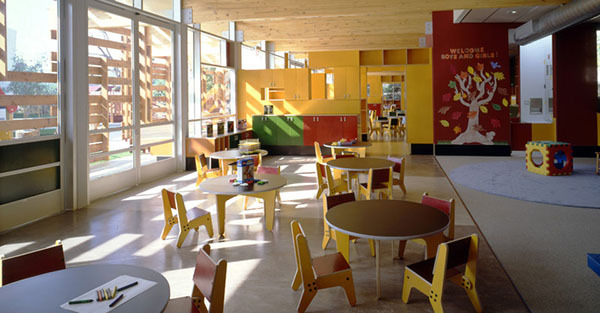 The Center is designed for 108 children, ranging in ages from infant to 5 years old. The 9,500-sf building contains 6 classrooms, a reception area, a director’s office, a staff room, lunchroom, and a storytelling room. 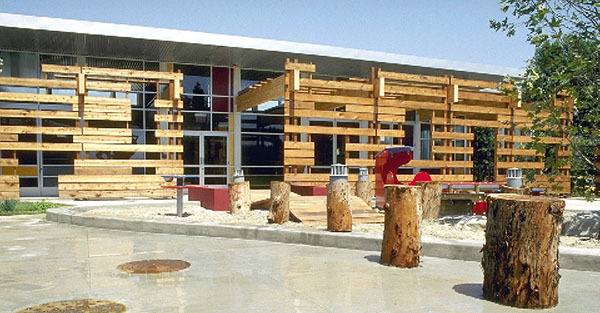 An additional 11,000-sf of exterior space is designated for playgrounds, walkways, courtyards and semi-enclosed shaded patios. 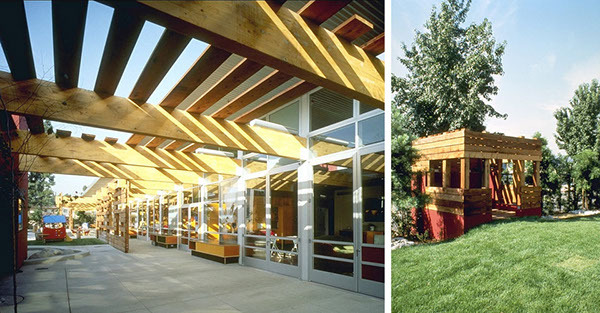 The building system consists of steel columns with wood glu-lam beams and wood framing. 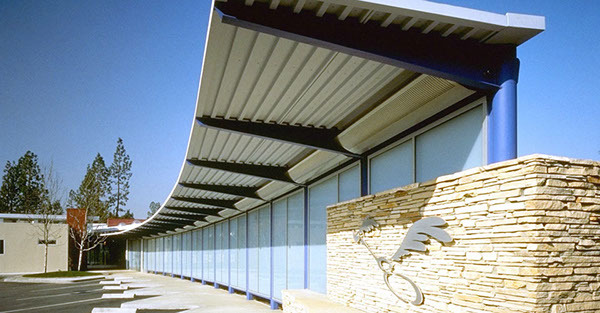 The major finish materials are stucco, redwood, stone, metal and laminated safety glass. 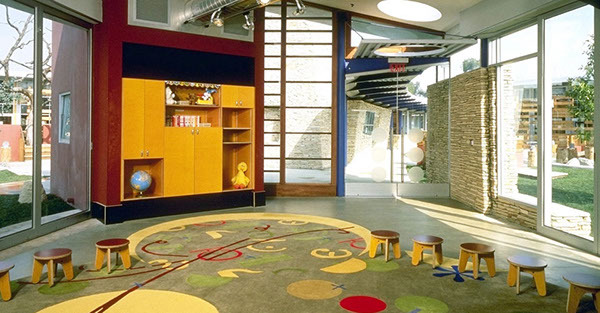 Reflecting the non-traditional hours often worked by film studio staff and actors, the Warner Bros. Child Care Center is open for extended hours. 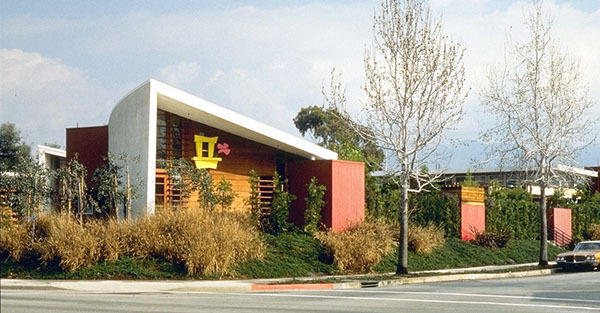 As a result, Rios Clementi Hale Studios focused on designing a variety of distinct spaces with a rich mixture of textures and materials, accentuating the union of interior and exterior spaces, and the use of natural light. 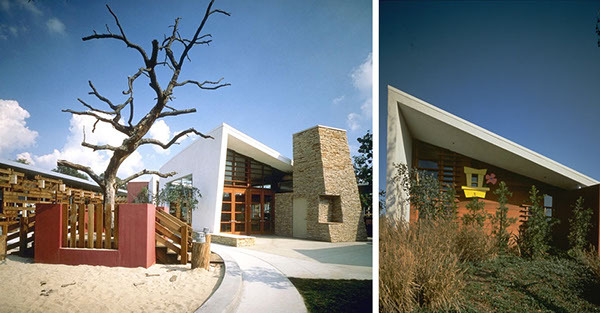 Two wings of the classroom spaces form an L, while a long, curved pavilion cuts diagonally through the site, housing offices, a lunchroom with a small kitchen, and a storytelling room. The entrance to the facility is placed where the buildings intersect. From here, almost all interior and exterior spaces can be seen. 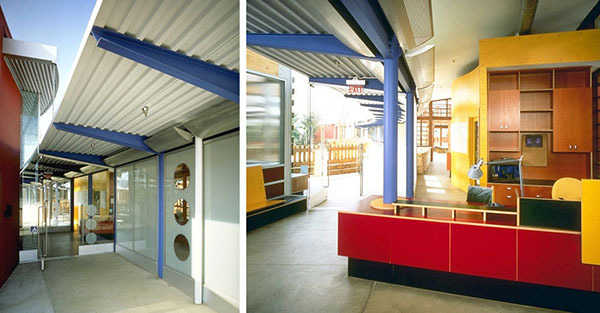 The classroom wings are designed with low-ceilinged quiet areas in the rear, and higher open areas in the front. Yellow plywood cubbyholes and storage areas at the entry define the larger space while movable cabinets allow subdivision of the area into smaller, more distinct spaces. 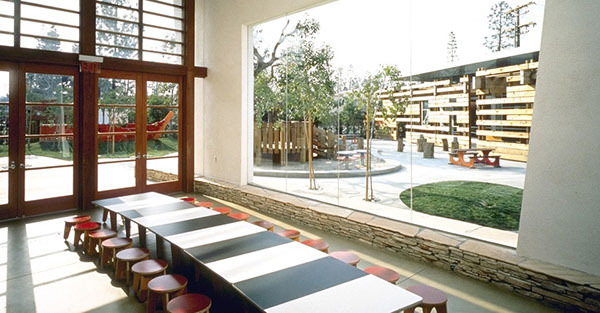 The walls facing the play areas are made of deep section, aluminum-framed glazing. 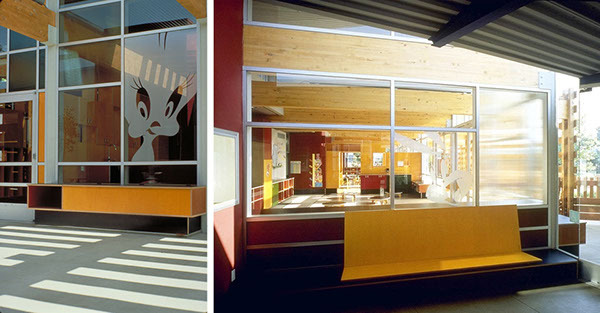 Natural light is varied through ribbed, clear and translucent laminated glass.